There is nothing quite like the feeling that you get when you know that you were able to save a great deal of money on a vehicle purchase. When you are browsing through used Ford cars for sale in Snohomish County, you are going to see that Carson Cars will always be able to offer nothing but the best when it comes to both low pricing and unmatched quality. The experience that you have at a used car dealership will only be as good as the customer service team that is working. With Carson Cars, you have a chance to deal with an award winning customer service team that has been recognized for excellence several years in a row. This means that you are going to have a great time while shopping for a vehicle to add to your family at a wonderful price that you can afford. Speaking of affordability, are you worried about trying to get a great deal on a loan? The in-house finance department will always be on your side to work with you and find the lowest interest rate possible regardless of your credit history. What this means is that even if you have poor credit or no credit at all, you will be able to lock into a loan that is never going to leave you broke. We will stop at nothing to get you the financing that you need so that you can drive away happy in new to you Ford that is a worthwhile investment. 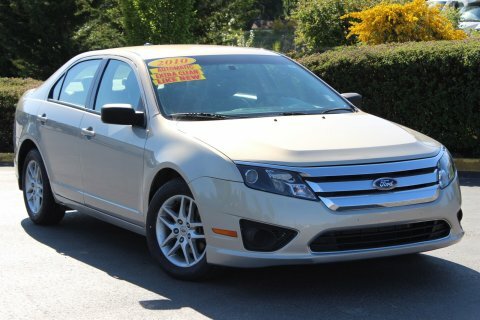 Buy your next vehicle with Carson Cars and shop used Ford cars for sale in Snohomish County. Call us (855)583-9356 today for selection and pricing information.